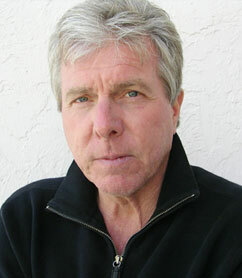 Kermit Christman is the founder and Artistic Producing Director of the Palm Beach Shakespeare Festival, Inc. He is also a founding partner of JK Productions, a New York based company. In 1967, Mr. Christman received an athletic scholarship to the University of Florida. After his stay, he realized his true desire was to be involved in theatre and film. Subsequently, he returned to Los Angeles where he began his training at the prestigious Orange Coast Theatre, where he met actors William Katt (ABC’s GREATEST AMERICAN HERO, Bob Fosse’s PIPPIN, Stephen King’s CARRIE), and Tony award winner Joseph Hardy (CHILD’S PLAY) who became lifelong friends and fellow artists. While appearing at the University of California, Fullerton guest artist theatre program, he met film, TV, and stage actor Monte Markham, and co-starred with him in HAMLET and ROSENCRANTZ AND GUILDENSTERN ARE DEAD, as well as portraying science fiction great Ray Bradbury in Mr. Bradbury’s DANDELION WINE. Again, these friendships would flourish professionally. With encouragement, in the early ’70s, Mr. Christman left for England and trained as an actor with members of the Royal Shakespeare Company and National Theatre of Great Britain, including Brian Murray (again, a lifelong friend), Robert Stephens and Maggie Smith. He has appeared with three Tony award winning companies (South Coast Repertory, Oregon Shakespeare Festival and Mark Taper Forum) and has worked with internationally acclaimed directors Peter Wood (RSC), Joseph Hardy, and Howard Sackler (Pulitzer Prize for THE GREAT WHITE HOPE); performing with such notable actors as Chariton Heston and Vanessa Redgrave in MACBETH (Abmanson Theatre, Los Angeles), Richard Chamberlain and an all-star cast, including Victor Garber, Joan Van Arc and Werner Kiemperer in CYRANO DE BERGERAC (Abmanson Theatre), Eileen Atkins in THE DUCHESS OF MALFI (Mark Taper Forum, Los Angeles), and Ed Harris in Ray Bradbury’s THE MARTIAN CHRONICLES. Mr. Christman performed at the prestigious Oregon Shakespeare Festival in HENRY IV Part II and TROILUS AND CRESSIDA both with Powers Boothe and Byron Jennings. As director and actor, Mr. Christman joined Shakespeare In The Park, Dallas-Fort Worth, in HAMLET, KING LEAR, and TWELFTH NIGHT. Mr. Christman’s first play as playwright, DINNER AND DRINKS, opened at the Tiffany Theatre (Sunset Strip, Los Angeles) starring William Katt and Monte Markham in 1985. His film credits include co-writing with William Katt, MYSTERY WALK, based on Robert McCammon’s successful novel. From 1985-87, he was partner with director Renny Harlin (DIE HARD II, CLIFFHANGER) on several studio developmental projects. His own film projects, THE FIRST AND THE LAST (for Anthony Hopkins) and MONEY were optioned by Century Productions / ITV. He produced in Florida the low budget independent cult thriller. WICKED GAMES, and his script, BLADEBOXER, co-written with William Katt, completed filming in Los Angeles for Glider Entertainment. In 1989, Mr. Christman established a residence in Florida to produce his play, DINNER AND DRINKS, with a grant from the Town of Jupiter. He went on to produce and direct two seasons of classics for The Chamber Theatre of the Palm Beaches, including William Shakespeare’s TWELFTH NIGHT; he created and performed his one-man show, Acting Shakespeare, for Palm Beach and Martin County schools under the auspices of Young Audiences, Inc. and Mobil Land Development, Inc.; and appeared in every major cultural institution in Palm Beach County as lecturer, actor, director and/or producer. In January 1990, Mr. Christman, with partner Jacqueline Anne Siegel, co-founded the Palm Beach Shakespeare Festival, and with Burt Reynolds as Honorary Chairman, premiered MACBETH at the Duncan Theatre, Lake Worth. With co-sponsorship from the Town of Jupiter and Palm Beach County Parks and Recreation, he went on to produce the first annual Shakespeare by the Sea, an Elizabethan Festival and Play-In-The-Park, Carlin Park, Jupiter, directing TWELFTH NIGHT, which attracted over 10,000 people in one weekend. To critical acclaim, Mr. Christman has continued to produce and direct both classical and contemporary work under the banner of the Shakespeare Festival, including, TWELFTH NIGHT, THE TEMPEST, A MIDSUMMER NIGHT’S DREAM, RICHARD III, AS YOU LIKE IT, ROMEO AND JULIET, and the Florida premiere of Ray Bradbury’s DANDELION WINE with music by Grammy winner Jimmy Webb. In Florida, he spent three seasons (1991-94) as host and co-producer of CENTERSTAGE, an interview/magazine format series for Palm Beach County T.V. 20. He was a founding Board member of BookFest of the Palm Beaches, 1990-1995, and produced their feature theatrical events, notably, William Katt starring in Edward Albee’s ZOO STORY (which later toured to the Tamarind Theatre, Los Angeles). With writing partner, Robert J. Litz, he wrote and directed an original drama on the life of Edgar Allan Poe, EDGAR, which premiered at BookFest ’94. In 1996, he produced and directed an avant-gard dance-theatre piece concerning Florida history, THE VANISHED PEOPLE, premiering at the new Eissey Theatre, Palm Beach Community College. He also presented the newly discovered Shakespeare play, CARDENIO, off-Broadway, in New York. He also directed Shakespeare’s comedy, TWELFTH NIGHT, with the Shakespeare Festival to open the Carlin Park Amphitheatre, Jupiter, a new cultural venue that he helped spearhead with the Palm Beach County Commission. For the last several years, he has been managing partner of Del Mar Productions, producing, writing and directing three films, THE CLEAN AND NARROW, for HBO, DO YOU WANNA KNOW A SECRET, for Blockbuster, and the newly released DESCENDANT.